Proof that interiors magazine chic doesn’t have to cost the earth. Elona doesn’t - even though hairpin legs are ‘the’ trend for storage. Check out the chrome legs on either side. Can we take a moment to appreciate the integrated door handles? So seamless with the minimal design. From a distance, they frame each compartment with a subtle grey shadow. 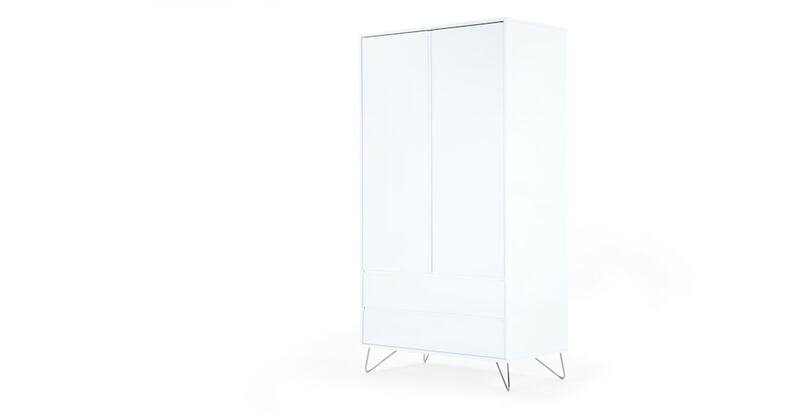 This wardrobe is a design-led piece, but it won’t dominate the room. It’s happy to hang back and complement your bedroom, while providing valuable storage for your clothes.